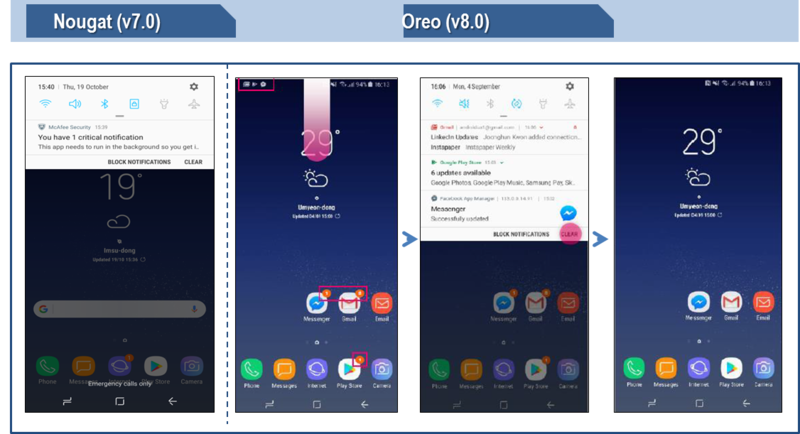 After updating my Galaxy S8 to Android OS 8.0 Oreo, it looks different from previous OS. Which UIs (User Interface) are changed from previous OS? 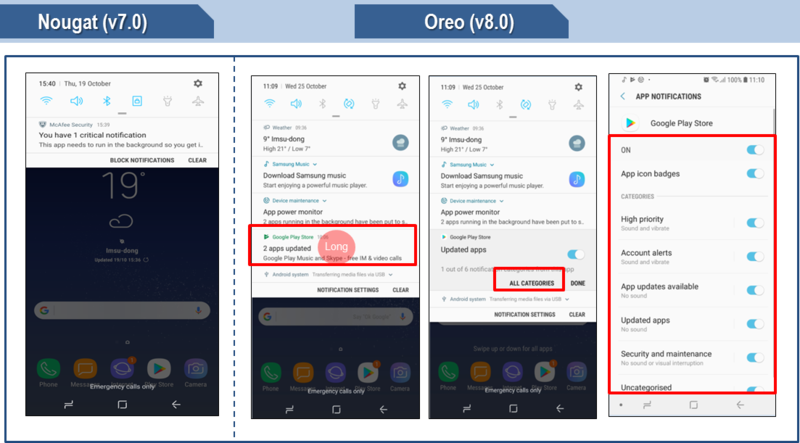 Android Oreo is now official. 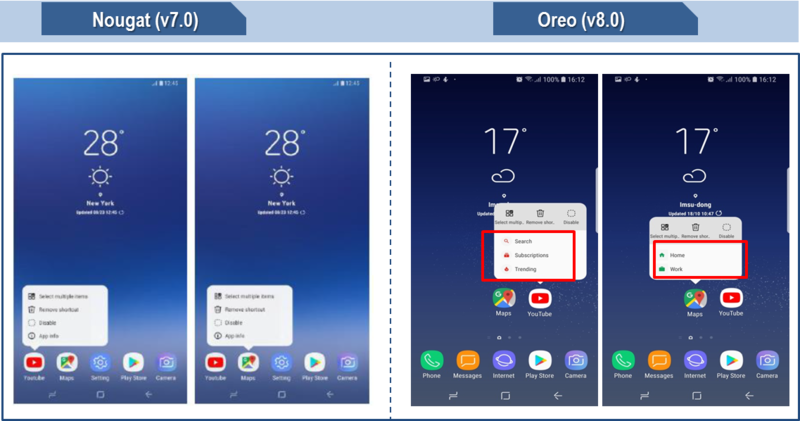 There are plenty of new features are going to come up in The Android Oreo. 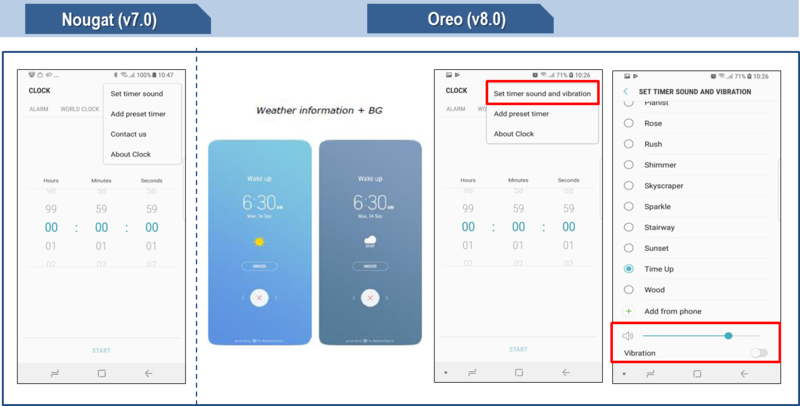 With Android Oreo, many things are simplified which help the users to work easily with notification, applications etc. 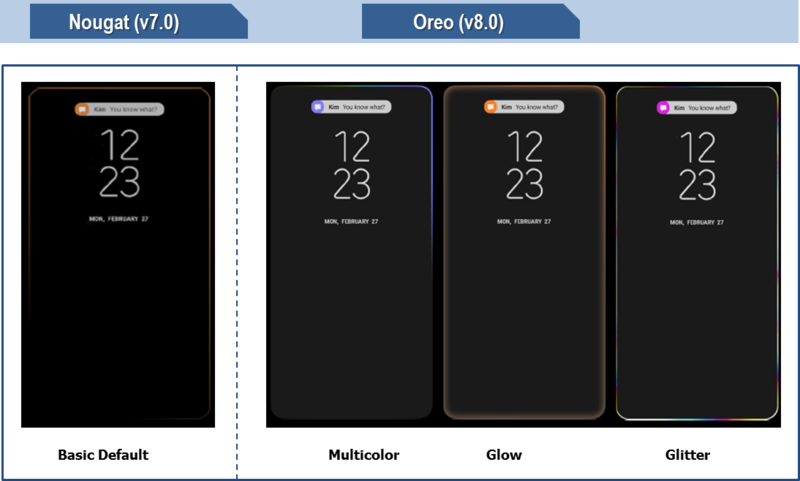 The key changes relate to the UI/UX (User Interface and User Experience) being enhanced. • Users can set preferred detail types for each app notification. • Users can easily clear notification badges on app icons at a same time by dismissing the corresponding notifications. • Status bar icons are smoothly connected to Notification. 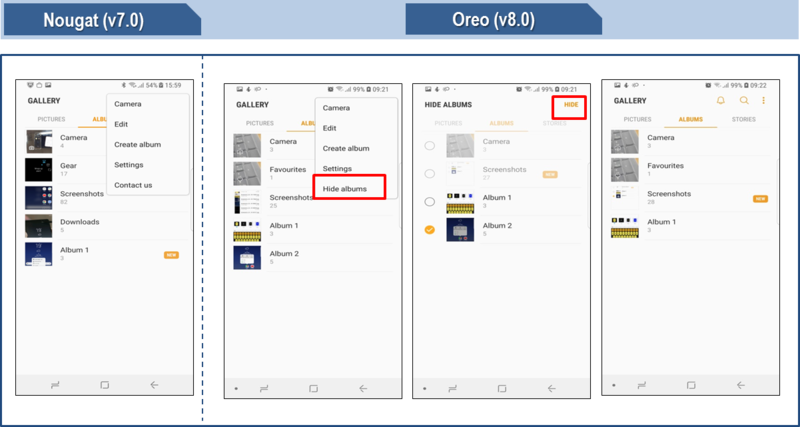 • Badges with number : Concept has been changed according to the Oreo OS concept. 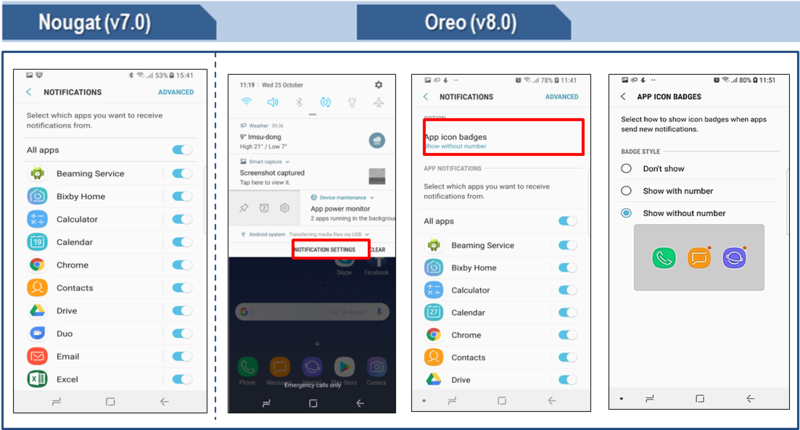 • Dot-style badge and notification preview option are newly added in Oreo OS. • User can easily restore lastly used apps in a split screen view. • When going to Home screen while an app is docking, the docked app is visible at the top of screen. • A toolbar is added to access various functions easily. • Moving GIF contents can be inserted in input field. 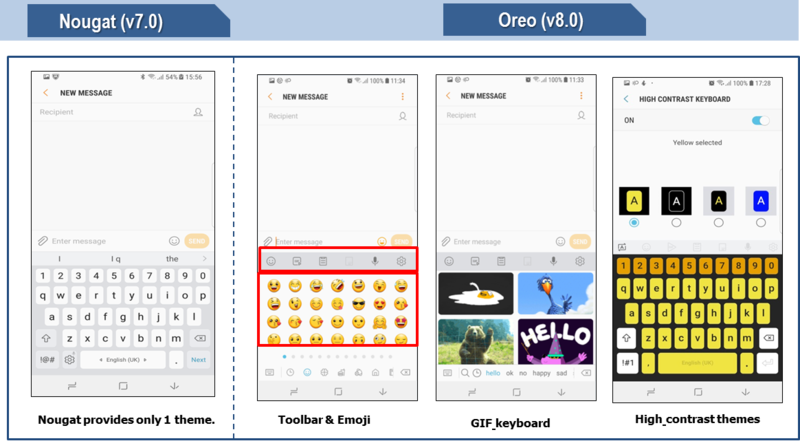 • New Emoji set(5.0) has been added. • Four high contrast themes are newly provided. • Simple and Convenient usability : Provide an easy way to install and uninstall on Home Screen and Settings. • The position of Settings icon is changed for easy accessibility. • The button “Edit” is exposed on Apps Edge panel. • Timer sound works independently from system sound settings : user can set timer with vibration option and change sounds as they want. 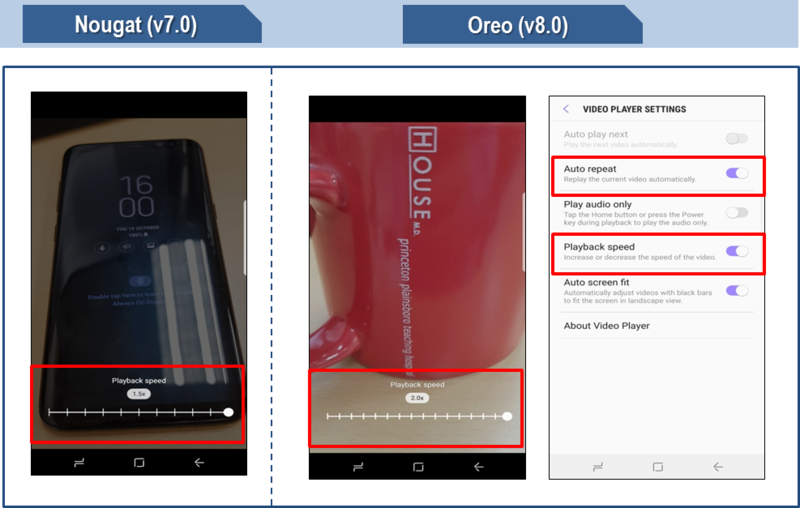 • New Auto Repeat is added in Video Player settings. 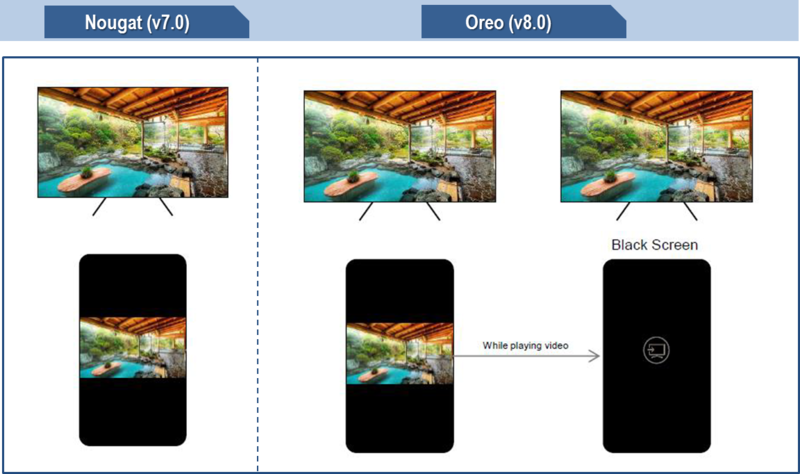 • While watching movie on TV after connecting with TV through Smart View, you can turn off mobile device’s screen. It helps to reduce battery usage and glare phenomenon. 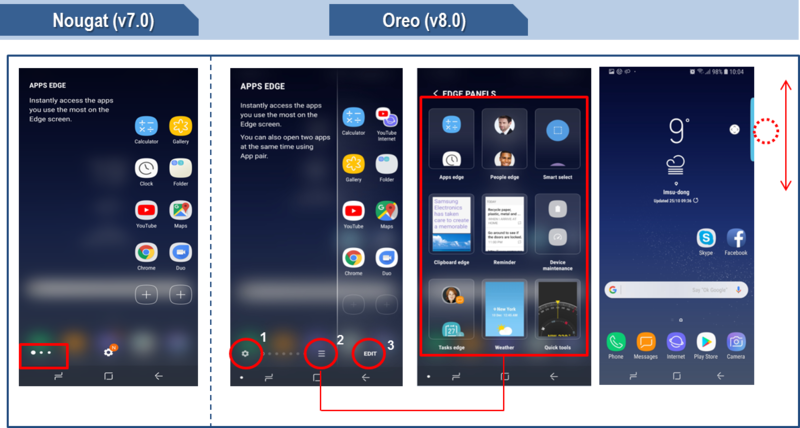 • All apps UX for Samsung DeX is changed. • All Apps screen expands to fit the entire screen, showcasing from 25 apps to 38 apps at a same time for better access and visibility. 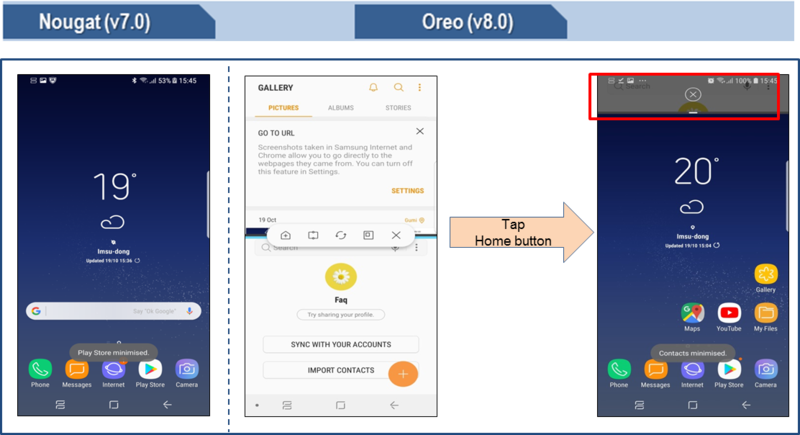 • Apply Game launcher for Samsung DeX including full screen mode. • Game launcher allows you to access more games that are great to play on Samsung DeX.